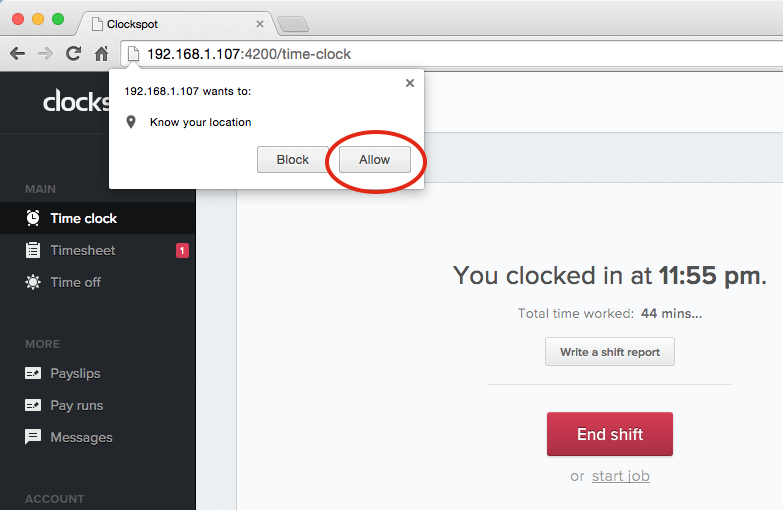 By utilizing the browser’s built in geolocation feature, Clockspot allows you to track where employees clock in from. 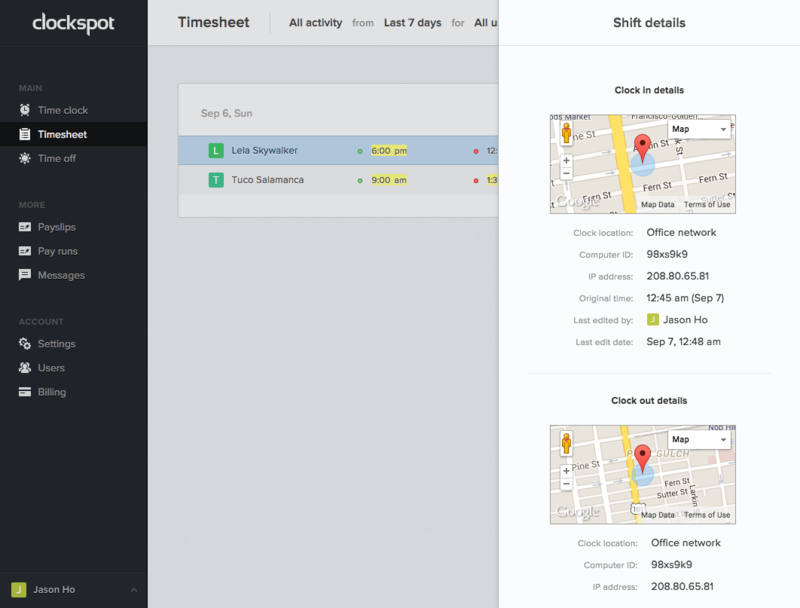 To use this feature, you must first “Enable geolocation tracking” in your settings by going to Settings (in the left menu), then going to the Timesheet tab. 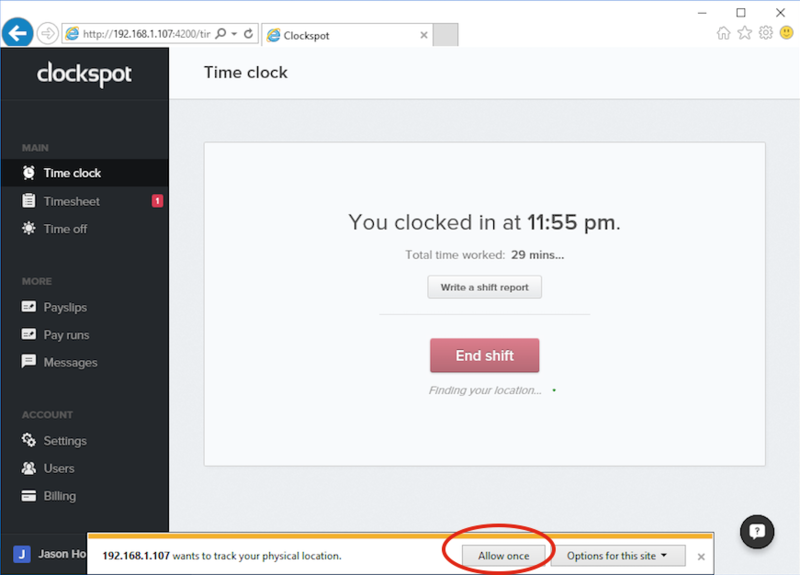 Make sure “Enable browser clocking” is also enabled. From the list, touch Chrome . Choose to either have Chrome never access your location, or allow Chrome access to your location only while using the app. Touch the Chrome menu . Touch Settings > Site settings > Location. Use the switch to either have Chrome ask before accessing your location, or to block all sites from accessing your location. Touch the specific blocked or allowed sites to manage exceptions. Click Manage exceptions if you want to remove permissions you gave before to specific sites. For more accurate location tracking, we recommend using this feature on wifi. If you are connected to the internet via ethernet cable, we won’t be able to pinpoint your location as well.